In common-offset radar profiles, ice-thickness and internal layering are measured with a constant separation of transmitter and receiver. Multi-static profiles, on the other hand, investigate a specific location with variables offsets between transmitter and receiver. Illuminating the same interface with different incidence angles allows to infer the radar wave speed and its dependency on density and ice anisotropy. 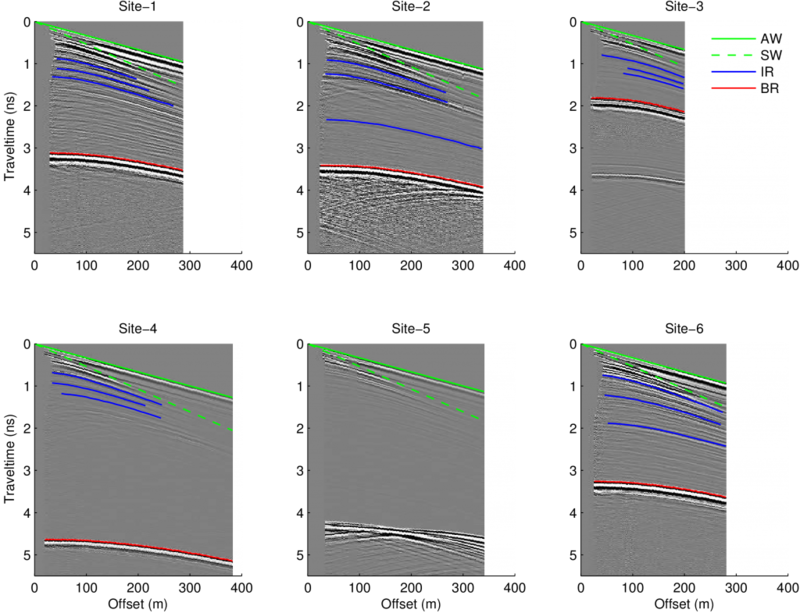 Below are images of six multi-static radar profiles collexted in Antarctica last season. The data is currently being analysed using damped-least squares inversion techniques.